For over three hundred years, the British Armed Forces has been made up of brave men and women who put themselves in harm's way so the rest of us can sleep soundly in our beds. Marching alongside, no matter where in the world, was the chef, who had to be just as handy with a Browning L9A1 9mm semi-automatic as a whisk and a garlic crusher. Bully Beef and Boiled Sweets is a celebration of the skills and achievements of this country's military chefs. *	Discover what troops are fed now*	See what has been served up in the major conflicts, from the Great War to the present day. 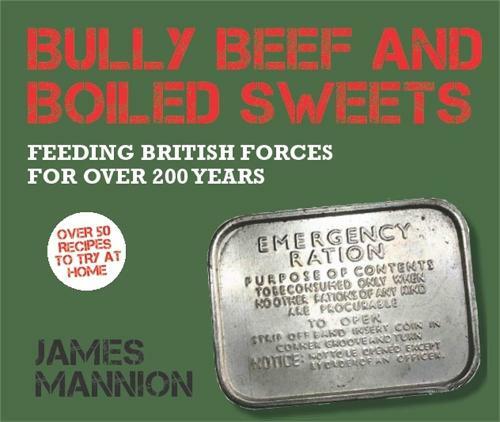 *	Learn how to catch, kill and cook your food when stranded in the middle of nowhere *	Hear what some of our most famous ex-servicemen enjoyed eating whilst they were in the British Forces.So for anyone who ever pretended a tree branch was a machine gun, who admire what our Forces go through every day and who want to improve their kitchen skills, Bully Beef and Boiled Sweets is for you.